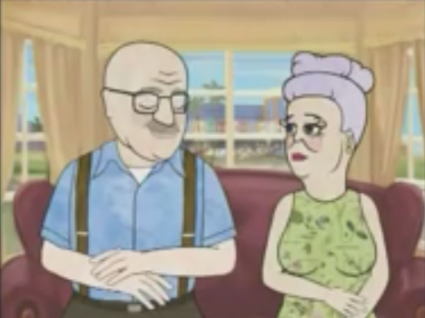 This clever animated documentary effectively dispels societal preconceptions about romance and older adults. A refreshingly candid group of 70, 80, and 90 something seniors in a retirement community share personal revelations on their continued need for love and intimacy. A multiple award-winner, Backseat Bingo draws its strength from the empowering honesty of the seniors who not only discuss their own romantic endeavors, but their own morality and the conscious choice they make to keep going on despite hardships, and the deaths of loved ones and friends. A powerful reminder that love and desire (in their various forms) remain an integral part of healthy aging and personal well-being. Ideal as a discussion starter to help caregivers and family members broach the often overlooked subject of intimacy among older adults.